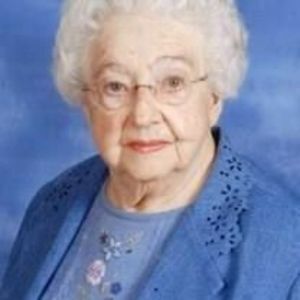 Maymie Theresa Casey Causey, 96, of Liberty passed away on Saturday, June 17, 2017 at Clapp's Nursing Center in Pleasant Garden, NC. She was a native of Sampson County, where she was raised on a tobacco farm by parents who valued education. She earned an undergraduate degree in religious studies from Greensboro College and a minor in science and education. She taught for 37 years, mostly at Nathanael Greene Elementary in Guilford County. A memorial service will be held on Sunday, July 16, at 3:00 PM at Pleasant Union United Methodist Church where she was a member and church organist for many years. Rev. Keith Newell will officiate. The family will receive friends after the service in the church fellowship hall. Maymie was the daughter of the late Lamb Gordon Casey and Arey Henley Lipe Casey. She was also preceded in death by her husband Benson W. Causey, Sr., and a sister Dr. Nancy C. Dunigan. Surviving are her two sons Winfield (Jane) and Charles (Pam) Causey as well as five grandchildren: Jeff Causey (Debbie), Jon Causey (Sara), Heather Duvall (Jason), Jenni Sonstroem (Matt) and Wendy Rodrigues (Trevor) along with ten great grandchildren. At the family's request, in lieu of flowers, memorial contributions may be made to Pleasant Union United Methodist Church, 5929 Coble Church Rd., Liberty, NC 27298 designated for the Playground Fund, Missions Fund or Music Fund. Loflin Funeral Home in Liberty is honored to serve Maymie's family.